Byzantine history buffs looking to visit the cities that made up that ancient world need only visit one of many qualified Utah travel agencies to arrange this exotic voyage. For those of you who are not familiar with the Byzantine Empire, essentially this is a name given to the Eastern Roman Empire that survived after the fall of the Western Roman Empire in 476 AD. The land comprising this political unit changed over the years. At its height it contained all the lands east of Italy all the way to Syria and Iraq as well as the eastern half of North Africa. This also included the Mediterranean islands of Crete, Cyprus, Rhodes, Malta and Sicily. 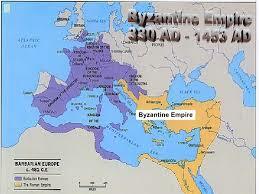 The first city on any list of Byzantine cities is Constantinople. This city was the capital of the Eastern Roman Empire from its founding by the emperor Constantine the Great in 330 AD lasting until the year 1453 AD when it was taken by the Ottoman Turks. Today the city is known as Istanbul and is the largest city in Turkey the modern successor to the Ottoman Empire. This city still contains many examples of Byzantine architecture including the Hagia Sofia Basilica built by the Emperor Justinian in the mid 500s AD. Because the lands encompassing the Byzantine Empire were so vast there are many cities that one could visit within this sprawling realm. Perhaps the best example of Byzantine architecture in Italy can be found in the city of Venice. Both St. Mark’s Cathedral and the Palace of the Doges contain beautiful Byzantine flourishes. In Greece the city of Thessaloniki was for a long time the second city of the Empire as it shrank in size. The city of Antioch on the eastern shore of the Mediterranean Sea (modern day Antakya in Turkey) was also a major city of the Empire. Even the famous cities of Jerusalem and Alexandria, Egypt were major cities of the empire during different periods.